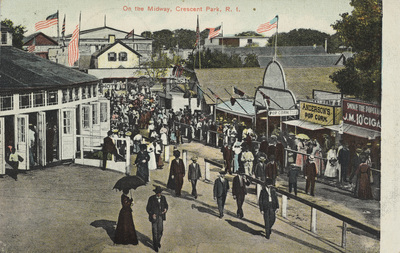 "On the Midway, Crescent Park, R.I." by Rhode Island News Company, Providence, R.I.
On the Midway, Crescent Park, R.I.
Used; Postmark: October 4, 1910. Rhode Island News Company, Providence, R.I., "On the Midway, Crescent Park, R.I." (1915). Rhode Island Postcards. 445.